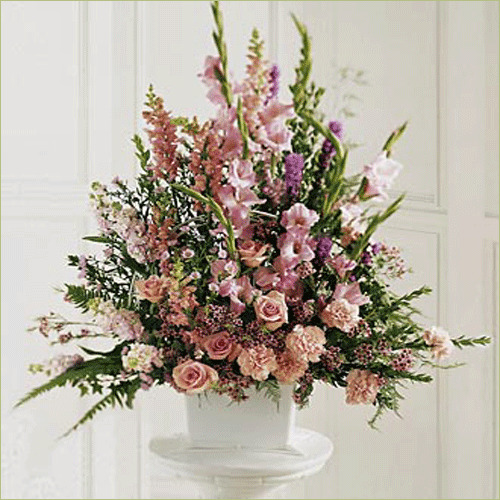 A beautiful sympathy floral arrangement. These pastel mixed flowers are a lovely tribute to a life lived to the full. Standard arrangement includes 30 stems. Deluxe arrangement includes 36 stems. Premium arrangement includes 42 stems.